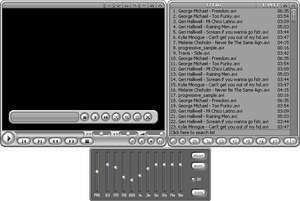 Zoom Player has always been a favourite media player and was one of the first ever featured on this site. The interface is highly advanced but extremely easy to navigate with configuration options grouped into several categories, the strong point of Zoom Player is still its flexibility when using the mouse scroll wheel. You can set your Zoom Player to zoom, increase volume and more within the configuration options. It uses the codecs you have installed on your system but on install, will give you the option to install various other ones if it thinks it won't be able to handle certain types of media files. Version 14.5.0 is a freeware program which does not have restrictions and it's free so it doesn't cost anything. For security reasons, you should also check out the Zoom Player Home Free download at LO4D.com which includes virus and malware tests. Additional screenshots of this application download may be available, too. 4.27 out of 5 based on 53 ratings. Zoom Player has a presence on social networks. Zoom Player download been highly rated by our users.